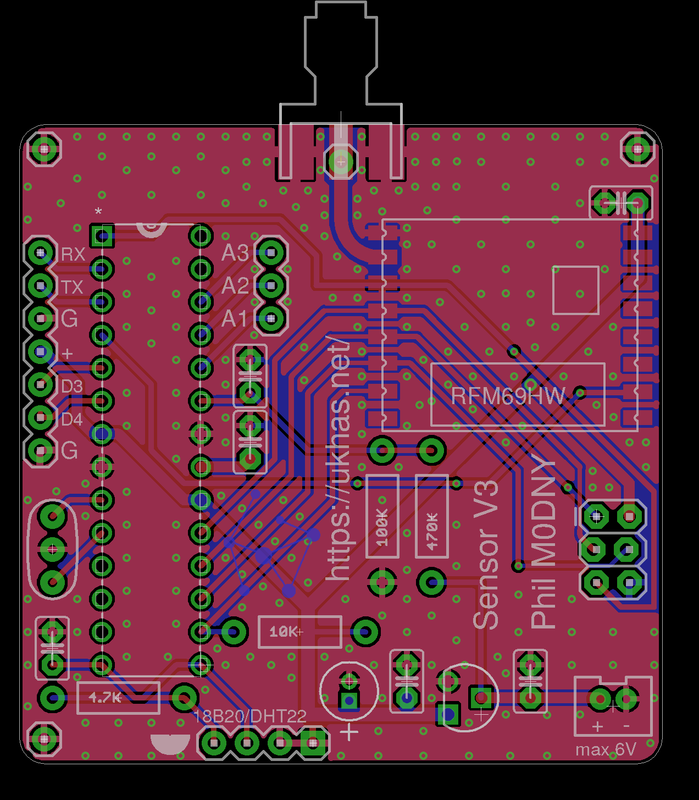 This is an AVR and RFM board designed for use as a cheap and simple UKHASnet Node. 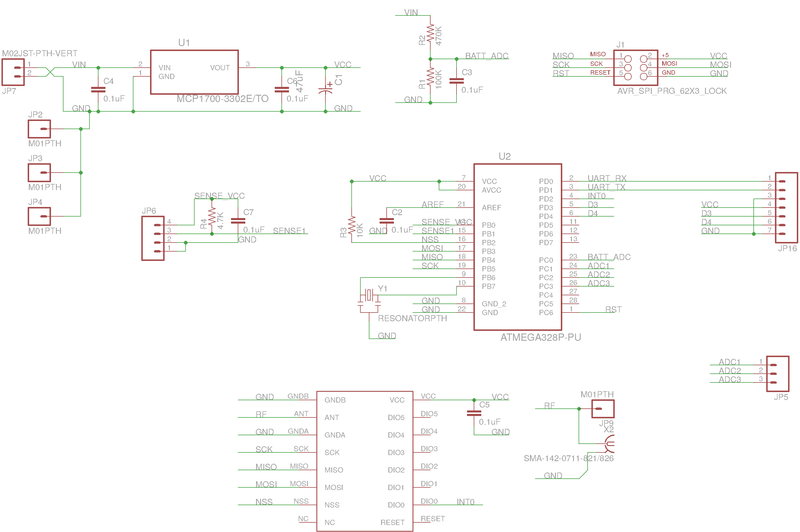 It also features a 3.3V LDO, broken out AVR GPIO and connection for a switched Sensor. 470K and 100K should replace the 4.7M and 1M resistors in the ADC Divider. This is to reduce error caused by thermally correlated leakage current in the ADC input.